3GMobileCCTV is a wholey owned subsidary of Take 2 Technology Limited located in the UK. 3G mobile CCTV specialises in home and office CCTV surveillance solutions that will send SMS, MMS and email alerts when your property has been accessed by an unauthorised intruder using the latest mobile and wireless CCTV surveillance products. 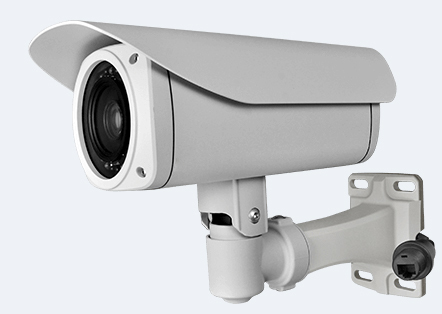 Our products offer support for remote monitoring with solutions for 3G surveillance solutions for sites without WiFi or broadband, Cloud based surveillance systems, mobile monitoring with support for latest smartphones and rugged mobile surveillance systems with DVR solutions for vehicle based solutions. 3G Mobile CCTV product portfolio includes a range of IP dome cameras, IP bullet cameras, IP speed dome cameras, IP box cameras, IR cameras, PTZ cameras, 3G surveillance cameras, mini wireless wifi cameras, ONVIF cameras, GSM alarms, GSM controllers, network video recorders, video servers, power over ethernet sitches, power over ethernet routers, home surveillance systems, 3G mobile video recorders, covert surveillance cameras, face recognition software, DVR systems from leading worldwide manufacturers. Our company has over 20 years of experience in the mobile and wireless computing sector and have build up a network of partners and manufacturers that provide the latest innovative products and technologies at competitive prices. We would welcome contact from any manufacturers that would like to partner with us and sell their products via our established customers and channels by emailing sales@3gmobilecctv.com. We are currently looking for new channels partners and welcome the opportunity to hear from companies that would like to resell our products into their own channels. Please contact one of our sales representatives by emailing sales@3gmobilecctv.com or calling +44 (0) 207 096 8420 for further pricing or technical information. Thank you for visiting our web site and would look forward to working with you in the future! 3G Mobile CCTV product portfolio includes a range of IP dome cameras, IP bullet cameras, IP speed dome cameras, IP box cameras, IR cameras, PTZ cameras, 3G surveillance cameras, mini wireless wifi cameras, ONVIF cameras, GSM alarms, GSM controllers, network video recorders, video servers, power over ethernet sitches, power over ethernet routers from leading worldwide manufacturers. Copyright © 2018 3G Mobile CCTV. All Rights Reserved.